Sabic Appreciation is presented to GOLDEN WING in recognition to overall consistent performance and positive contribution for the year 2018. 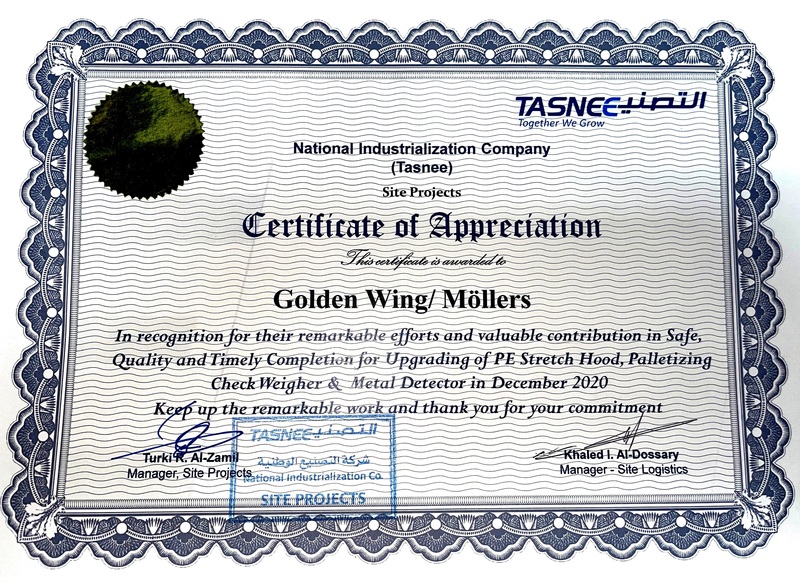 Golden Wing (GW) was formed in the late eighties by very ambitious Saudi Mr. Adel Khalid Kurdi. Based in Jubail Industrial City, Golden Wing has spread its wing by having office in Jeddah, Saudi Arabia.